For the girlfriend that has “all the things,” pop the question with a gift that keeps it simple and fun. Frame a fun pic of you two, maybe from a trip you’ve taken or an event you’ve attended together. 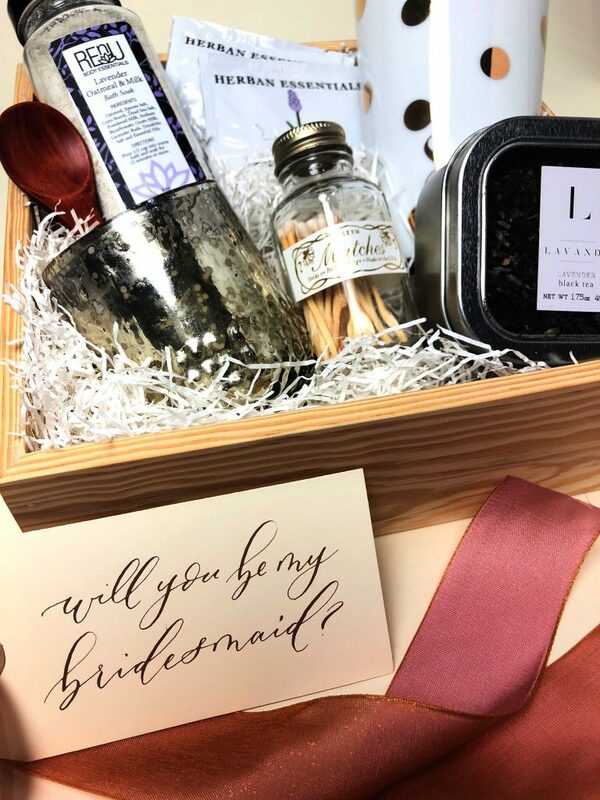 Add her favorite color nail polish, relaxing bath salts, a wine glass etched with the word bridesmaid and a miniature bottle of her favorite drink. Don’t forget to add her favorite colors in the ribbon or container. 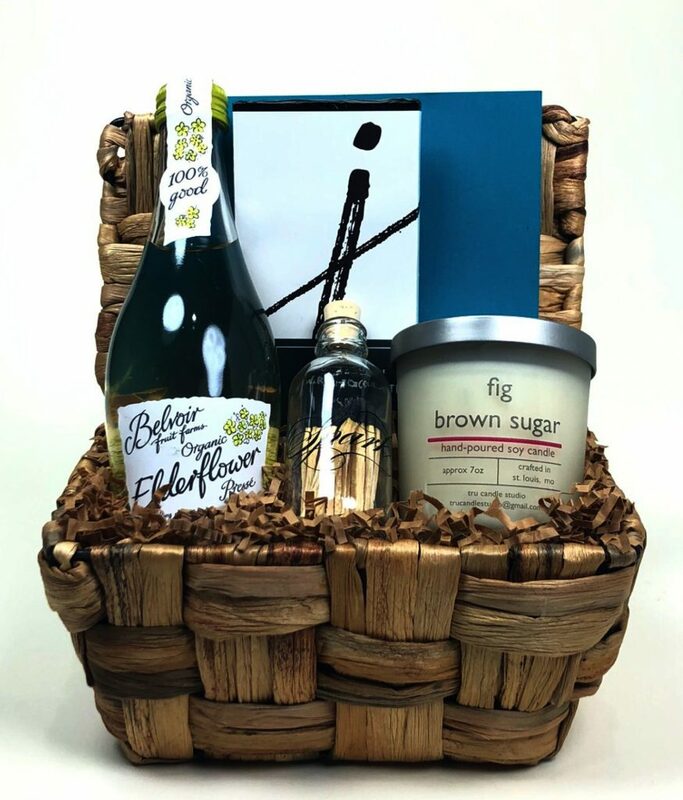 Relaxation gifts are always appreciated, especially while planning a wedding – who couldn’t use some downtime. Try adding a monogrammed blanket, a coffee mug, biscotti, her favorite book, magazine or journal (don’t forget to write something memorable that way she’ll always remember), and pen makes a great gift, and you can’t forget the candle. Hit the ROAD! What better way to ask your girls to be in your wedding than with a road trip. Jump in the car, and drive and it doesn’t have to be far. It could be a beautiful hotel downtown or a quaint B&B in the neighboring state. Before leaving on your weekend getaway, give your girls swag bags filled with fun things for the weekend. Beach towel, flip flops, a travel mug (don’t forget to personalize it), sunglasses, hair ties, and snacks. During one of the biggest moments in your life, your girls will be standing by your side. 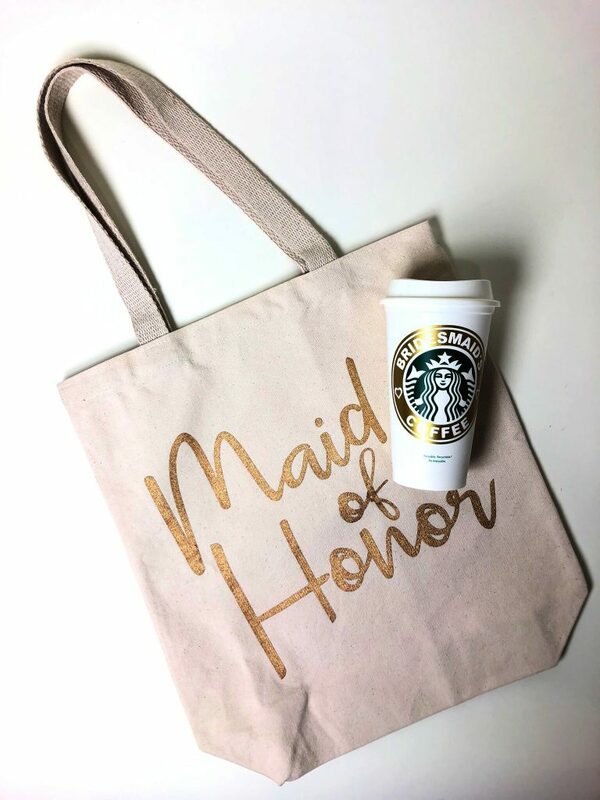 Giving them something memorable to honor their friendship and saying yes to being with you on your special day will be something your girls will won’t forget, so make sure you treat them to something special in return.